As a financial professional, Derek’s mission is to assist individuals, families and business owners define and achieve their financial goals. He is highly trained and licensed to provide financial solutions to his clients and prospects. His goal is to become a lifelong resource to his clients, and he is dedicated to assisting them through the various stages of their financial lives. 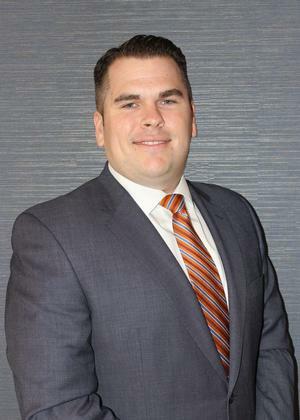 At Baystate Financial, Derek is able to utilize the team approach and draw upon the wealth of knowledge of his associates to create custom designed financial strategies for his clients. Derek holds a Bachelors of Science from the McCormick School of Management at The University of Massachusetts, Boston. He holds his Life, Accident and Health License, and Series 6, 7, 63, & 65 Securities Licenses. Derek lives in Worcester with his wife Stacey and daughter Chloe. He is a member of The Society of Financial Services Professionals Worcester County Chapter, and is a member at The International in Bolton, MA. During his free time, he enjoys being with his family, playing golf and hockey and vacationing on Cape Cod.